Everyone loves hummingbirds. It’s wonderful to watch these magical birds levitating on the porch and zooming like little feathered drones through the garden. But if you’re going to feed hummingbirds, think carefully about what food you’re offering to these tiny, fragile bodies. Give them nourishment, not poison. More and more, research is showing that red dyes in artificial nectar are terrible for hummingbirds. You wouldn’t want to constantly drink water dyed bright red. Don’t feed it to your little feathered buddies. But there’s another problem with hummingbird feeders. (Sorry to be such a downer but I’m feeling cranky this morning.) They’re not for the lazy. They’re not for the casual, sloppy, less-than-perfect housekeeper. They’re not for people like me. All reputable sources (the Audubon Society, Cornell, and the National Wildlife Federation, to name only a few) agree that hummingbird feeders must be properly maintained. You can’t just stick them on the porch and forget about them. You have to be vigilant. Because the stakes are high–not for you, but for the hummingbirds. Sugary water is an excellent medium for the growth of pathogens, which means it easily develops mold and mildew. And black mold can cause a horrid infection in hummers. It’s called candidiasis, and it causes a swollen tongue, leading to a death of slow starvation. It can also be transmitted from an infected mother hummingbird to her nestful of youngsters when she feeds them…okay, I’ll stop. It’s too horrid to contemplate. How many people actually take the trouble to do all that? Personally, I’m just too lazy. I have trouble keeping my own dirty dishes washed. Just ask my family, whose frequent complaints about greasy forks and cloudy glasses I breezily ignore. But the thought that I might miss a corner and leave a speck of mold to contaminate the artificial nectar is why I’ll never feed hummingbirds–with a plastic feeder. Listen, I love hummingbirds. 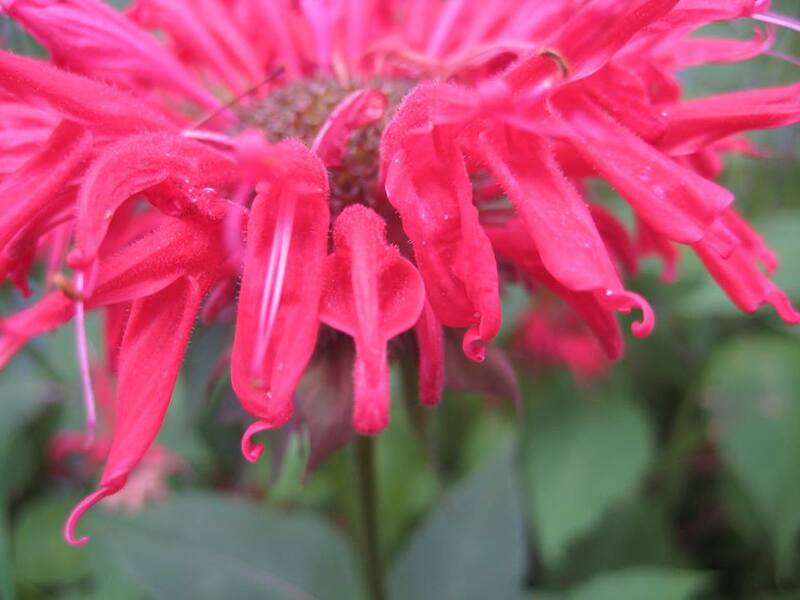 I love them so much that I spend a lot of time in the garden, ministering to their finicky appetites by planting the kinds of flowers they love: Bee balm. Phlox. 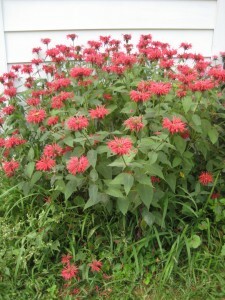 Anything bright colored (especially red) with tube-shaped flowers. 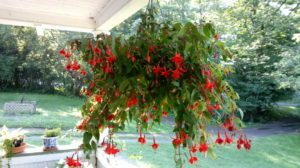 I deck my porch with hanging baskets of fuchsia and geraniums. And it’s not just about the nectar. I also leave plenty of room at the edges of the lawn for unmowed spots where hummingbirds can get the protein they need. It’s not all about nectar, they also feed on small spiders and little insects. If you want to hang something on your porch that’s red and will nourish many happy, healthy hummers, be prepared for a lot of scrubbing. Or think about what hummingbirds have evolved to thrive on. Flower nectar from real flowers.